Every group has presented their Preliminary Design Review! They all have an idea about their respective design and a plan to move forward. Next week will see Critical Design Review for most groups, while the Frame+Mobility subgroup starts to cut and assemble the frame. The team has been effected by late starts and early school closings in the week of Jan 13. We have been meeting at Nova Labs when possible but it’s not as productive as having shop access. The frame and mobility team, aka BAMF, gave their PDR presentation. The other groups are close to prepared for their presentations and are working as fast as the weather allows. Firstly, there is the possibility of snow over the weekend. Look for an email from Kelsey about meeting update before you leave on Saturday. The team spent the week in brainstorming solutions to play the game, and learned a lot from doing it. Now we meet in subgroups to plan for PDR and solve the specific challenges. There are a few different ideas floating around for each manipulator system. Some parts arrived yesterday and we were able to test suction on the cargo, and if it will seal. There was enough vacuum to shatter the make-shift suction cup! About 30 students, parents, and mentors came to the high school to watch the kickoff presentation on Saturday! We had a great potluck spread for breakfast and enthusiasm for the new game. 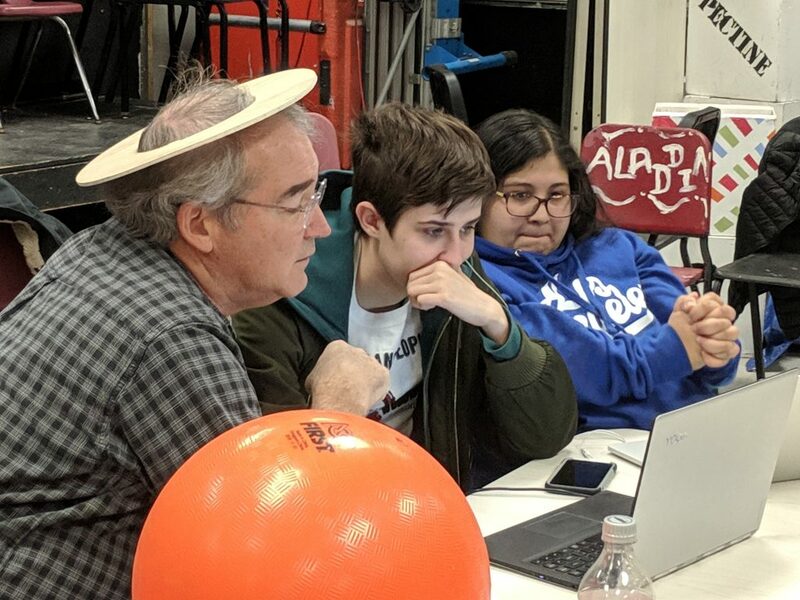 We were excited to see the game, Destination: Deep Space — everyone immediately started brainstorming ideas and preparing for Stubots the next day. Stay tuned for more updates as we iterate ideas and prototype solutions!